I am a mathematician at Penn State specializing in mathematical logic. 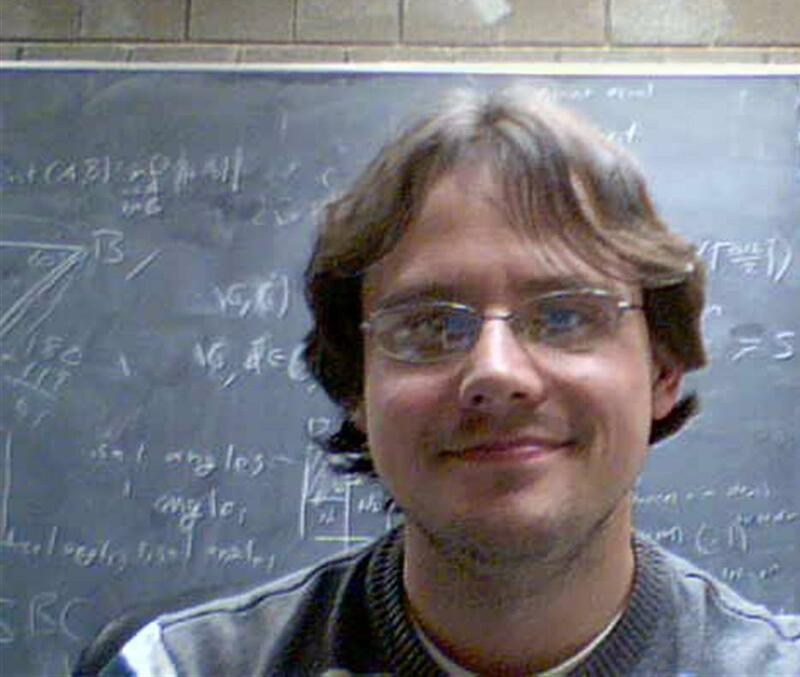 In 2013, I received my Ph.D. in Mathematical Science from Carnegie Mellon University under Jeremy Avigad. I am interested in the nontrivial interactions between computable mathematical structure and classical mathematical structure. To this aim, I work on problems in algorithmic randomness, reverse mathematics, effective mathematics, and quantitative analysis (including metastability). See my Curriculum Vitae and Research Statement for more information. Math 457: Introduction to Mathematical Logic (Spring 2017). Math 230: Calculus and Vector Analysis (Spring 2017). Math 141: Calculus with Analytic Geometry II (Fall 2016). Math 457: Introduction to Mathematical Logic (Spring 2016). Math 557: Mathematical Logic (Graduate) (Fall 2015). Math 231: Calculus of Several Variables (Fall 2015). Math 558: Foundations of Mathematics (Graduate) (Fall 2014). Math 230: Calculus and Vector Analysis (Fall 2014). Math 457: Introduction to Mathematical Logic (Spring 2014). Math 230: Calculus and Vector Analysis (Fall 2013). When does randomness come from randomness? with Thomas Hales and 20 others. with Paul K. L. Nguyen, Bjørn Kjos-Hanssen. with Jeremy Avigad, Edward Dean. [abstract] This paper explores the computability of conditional probability, showing that algorithmic randomness behaves well along measure-preserving maps such that the conditional probability of the map is also computable. [abstract] There are many ways to express that a sequence converges. They range from the most explicit but least uniform—a rate of convergence; to the moderately explicit and moderately uniform —a bound on the number of jumps by epsilon; to the least explicit but most uniform—a bound of metastable convergence (which I will define in this talk). Using proof theory, Kolhenbach showed that uniform metastable bounds can be computability extracted from the proof of a convergence theorem. Using model theory, Avigad and Iovino showed that metastable bounds of a convergence theorem are always uniform—but their methods do not provide a way to compute the bounds. Using computable analysis and computable model theory, I show that not only are the bounds always uniform, but they can computed from the statement of the theorem alone (without regards to the proof). [abstract] We show that Martin-Löf randomness can be naturally generalized to subadditive measures called capacities. This unifies a number of disjoint topics in algorithmic randomness, including including strong s-randomness, s-energy randomness, algorithmically random closed sets, effective Hausdorff dimension, and randomness for classes of measures. Using randomness for capacities, we characterize the members of Martin-Löf random closed sets (solving an open question of Diamondstone and Kjos-Hanssen) and characterize the zeros of Martin-Löf Brownian motion (solving an open question of Allen, Bienvenu, and Slaman). [abstract] This is a survey of constructive and computable measure theory with an emphasis on the close connections with algorithmic randomness. We give a brief history of constructive measure theory from Brouwer to the present, emphasizing how Schnorr randomness is the randomness notion implicit in the work of Brouwer, Bishop, Demuth, and others. We survey a number of recent results showing that classical almost-everywhere convergence theorems can be used to characterize many of the common randomness notions including Schnorr randomness, computable randomness, and Martin-Löf randomness. Last, we go into more detail about computable measure theory, showing how all the major approaches are basically equivalent (even though the definitions can very greatly). [abstract] We explore computability and algorithmic randomness for locally finite measures on effectively locally compact spaces, showing that common randomness notions, such as Martin-Löf randomness, can be developed for locally compact measures. The natural topology on the space of locally finite measures is the vague topology, whereas the natural topology on the space of finite measures (including the probability measures) is the weak topology. This leads to two distinct definitions of μ-randomness for noncomputable measures μ. Nonetheless, we show that one can interpret μ-randomness for a locally finite measure μ as ν-randomness for some probability measure ν. We also look at related concepts including computable Haar measures, computable locally integrable functions, and computable measure-preserving maps between locally finite measures. Logic Colloquium 2012, July 12–18, 2012. 7th Conference on Computability, Complexity and Randomness, July 2–6, 2012. Twelfth Asian Logic Conference (Invited speaker), December 15–20, 2011. Randomness and Analysis in Auckland, December 12–13, 2011. Southern Wisconsin Logic Colloquium, May 10, 2011. Graduate Student Conference in Logic, May 7, 2011. Sometimes Google auto-corrects my name to "Jason Route".